Ricky Valance was the First Welsh National to have a UK Number One chart hit. He dedicates his last recording before retirement to The Royal Air Force where he started his working life in service of his country. Ricky’s performance of ‘Welcome Home’ is dedicated to the men & women of all nations who have served and are serving with the RAF. Often forgotten in recent times, the RAF operates ‘sorties’ day and night in defence of the UK and its allies. Donations can be made directly to the charity via Ricky’s My Donate page www.mydonate.bt.com/fundraisers/rickyvalance1 – Two RAF charities are to benefit, the RAF Association, which provides welfare support to the RAF family, from the youngest recruit to the oldest veteran and The Royal Air Force Museum in North West London, which will be celebrating 100 Years of the RAF in 2018. Ricky Valance was born on the 10th April 1936. He is best known for the Number One single ‘Tell Laura I love Her’, which sold over a million copies in 1960. He started his musical career after leaving the Royal Air Force. Further singles included ‘Movin’ Away’, ‘Jimmy’s Girl’ and ‘Six Boys’. ‘Jimmy’s Girl’ sold over 100,000 records and ‘Moving Away’ made it to number one in Australia and Scandinavia. ‘Tell Laura’ is the tragic story of a boy called Tommy and his love for a girl called Laura. It’s a sad rock ballad which has immortalised Ricky in the music history books. 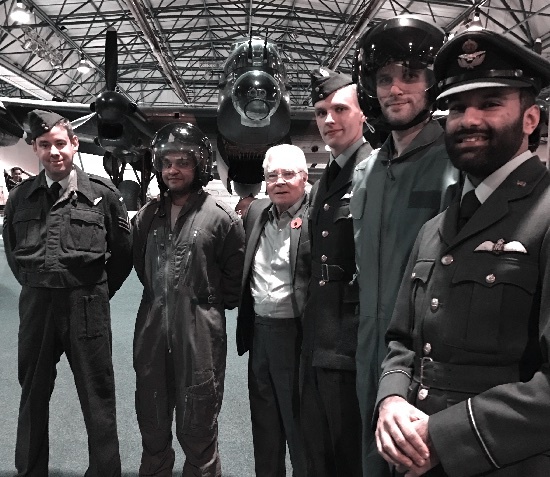 Ricky will be supporting his campaign with radio, press and TV interviews, sharing the story of his active service overseas for the RAF in the 1950’s and his 55 years in the music industry together with details of his new record and video which was filmed at RAF Hendon.